Nintendo UK has confirmed an agreement with the curiously-named Boingo Wireless to provide free Wi-Fi access in a number of major British airports, a move that will also bring Nintendo Zone to the UK for the first time. This is ideal news for jet-setters who fancy a bit of eShop browsing while waiting for their flight. It's important to note that 3DS consoles will only connect to the relevant network automatically if they have the latest system update. Wi-Fi hotspot connectivity was one of the major promises made by Nintendo prior to the console's launch, and this is another step towards encouraging gamers to keep their 3DS handy. No word on when Nintendo Zone will officially launch in the UK or what content it will include, but we'll keep you posted. 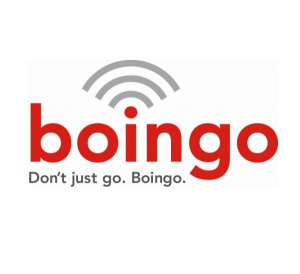 Nintendo UK today announces a new deal with Boingo Wireless Inc., offering Nintendo 3DS™ owners free access to Boingo hotspots at some of the UK’s largest airports. Your Nintendo 3DS will automatically connect to Boingo’s network in many of the main airports across the UK, including London Heathrow, London Gatwick, London Stansted as well as Southampton, Glasgow, Edinburgh and Aberdeen. Connecting your Nintendo 3DS couldn’t be simpler; it will automatically search for and connect to the internet via Boingo’s hotspots, allowing your Nintendo 3DS to engage in SpotPass™ as well as enabling you to browse the internet using the Nintendo 3DS Internet Browser. The SpotPass feature on Nintendo 3DS allows you to automatically receive a host of exciting content such as 3D videos for Nintendo Video™, notifications, extra content for your software and system updates without lifting a finger. The next time you have a spare moment while waiting to board your flight, why not browse the internet or access the Nintendo eShop? Enjoy looking through, downloading and playing the latest Nintendo 3DS Download Software and classic titles from Virtual Console™ – all available from the Nintendo eShop. For more information on Nintendo 3DS and SpotPass, visit the official Nintendo 3DS website at www.nintendo3ds.co.uk. For information on performing a system update, visit the Support section at support.nintendo.com. Nintendo zones are really usefull. they've not launched? My 3DS asked me if I wanted to connect to Nintendo Zone the other weekend when I was in Bradford Interchange. I said yes, it installed the Nintendo Zone programme and then told me it couldn't find it. It was a bit puzzling. No Birmingham/East Midlands? Guess that means no Nintendo Zone for me. Don't forget to turn off Wi-Fi before the takeoff please. I don't get what good these things are, personally. Is it just a wi-fi spot or is there any exclusive content to be had at a "Nintendo Zone"? Wi-Fi is everywhere anyway, why do I want a "Nintendo Zone" to get that? I've gone in to Best Buy with mine before (where they apparently have this here) and it can't find anything. not only does it not download anything, I can even open it up and go to nintendo zone manually and it still finds access to nothing. Haven't seen the "Nintendo Zone" app do anything yet. Why can't Australia have Nintendo Zones? Every single Nintendo Zone I try to connect to doesn't work. I have one at Best Buy and one at Sam's Club. Both of them show up on the 3DS menu but aren't there when I load up the channel. Kind of annoying because I want to find out what they do. YAY!!! I'm flying to London soon, so hopefully it will be there by the time I fly!!! I've given up on the lameo Nintendo Zone App. I got mine at best buy and couldn't figure out what it's purpose was. i was at heathrow the other day and 'nintendo zone' was automatically downloaded on my 3ds. it couldn't connect though... the logo was cool!!!! Hope it doesn't turn out to be boringo as well. I rather save my battery for the flight. That'll be fun. I'm heading out from Heathrow this summer. I always like picking up free wi-fi when I can get it.